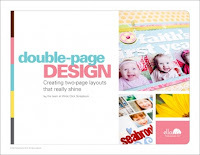 Double-Page Design is the newest eBook from Ella Publishing. The editorial content and inspired design samples in this great new edition come to us from the ladies of Write. Click. 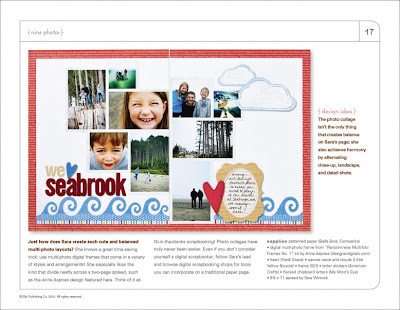 Scrapbook., which is known as an “inspiration collective” of over 30 experienced scrapbook designers (who share the belief that scrapbooking can be simple, stress-free, and fun. 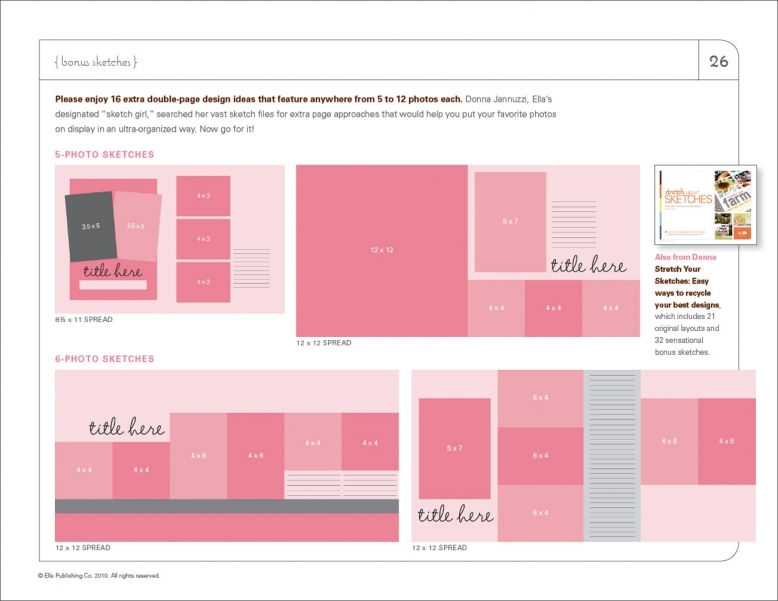 While the contributors that single-page designs certainly have there appeal, double-page spreads can not only help us to include more photos in our memory-keeping, but also give us a larger canvas in expressing our creative. They assure us that we don't need to be intimidated my more space, but should embrace it! Double-Page Design is divided into 7 sections by the number of photos included on the samples beginning with five photos and ending with a section including layouts with 11-13 photos. 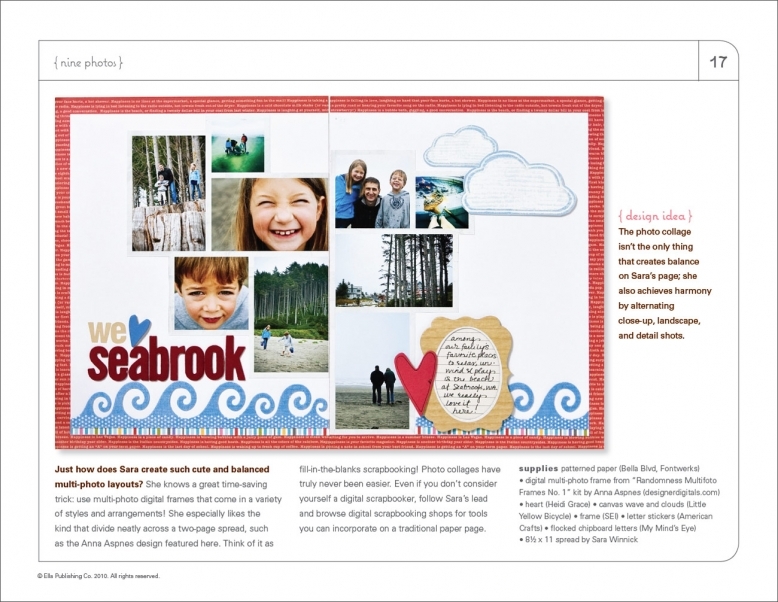 Each section includes three samples by various artists from the Write.Click.Scrapbook team and both 8.5x11 and 12x12 spreads are represented. At the end, there is also as section of Bonus Sketches from Donna Jannuzzi, the designated sketch artist for Ella Publishing. There are 16 sketches included that are easy-to-follow and adapt. 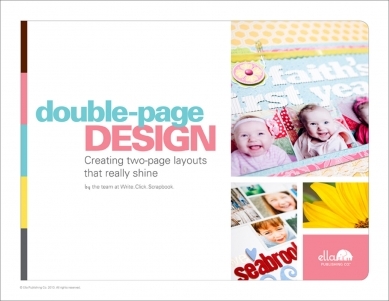 Double-Page Design is available for purchase NOW at Ella for only $5.99! I have one copy of Double-Page Design to give away...all you've got to do is answer the following question by 5 p.m. (CST) on Thursday, December 16th, 2010 and you'll be entered for your chance to win. Random.org will choose and I'll announce the winner on Friday! !